Chinese, or rather Beijing, cabbage recently has become very popular in Russia. And no wonder, because except for the exceptional taste it is superior to traditional varieties of cabbage on the content of vitamins (in its composition more than ten! ), mineral salts, amino acids, proteins. Another advantage of the overseas vegetable – capacity throughout the winter to keep the vitamins. This cabbage can be cooked many different dishes. 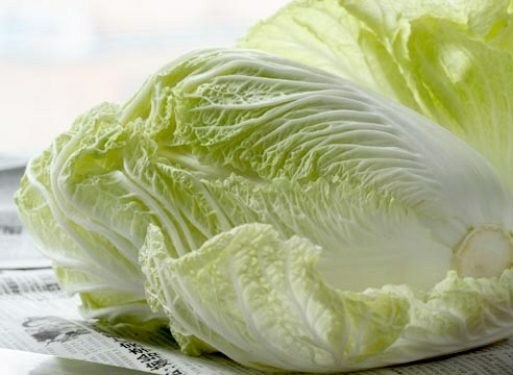 If you want to keep in the Beijing cabbage like many vitamins, it is best to add it fresh to any salad, seasoning it with vegetable oil, sour cream or mayonnaise. It goes well with many of the most common we have vegetables, including tomatoes, cucumbers, sweet pepper, onion, carrot, radish, and apples. For example, you can prepare the salad with carrots: grate carrots, cut into julienne cucumbers and Chinese cabbage, and tomatoes slices; all this mix in a salad bowl and add the salt, pepper and butter for the filling (can be olive oil or sunflower oil), sprinkle with herbs. If you like celery, try to make more interesting the salad: clean and cut into slices small Apple, celery (two stalks) and half mild white onion strips, tear with your hands the leaves of Chinese cabbage and sprinkle with lemon juice. Then mix two chopped tomatoes, season with sauce for salads and place in a bowl. Decorate the salad with two halves of boiled eggs. Cabbage can be stuffed or to make her cabbage rolls. For example, take and chop the garlic clove, mash 200 g of cheese with the same amount of cream cheese, all mix into a homogeneous mass. Wash and cut into small cubes sweet red halves, green and yellow peppers. Add this and 100 g of black olives to the cheese mass and mix thoroughly. Cabbage cut in half, put each half cut down and carefully prizing the leaves, put the filling in a thin layer. Then fold the two halves together and tightly wrap them in cling film. Put it in the fridge. Two hours later your dish is ready. Like cabbage, Beijing is very good in the form of sauerkraut. If you like spicy food, try to make Korean kimchi. Know over a hundred different recipes. Here is one of the most common ones. Take a pound of Chinese cabbage, separate the leaves and sprinkle with salt. Then pour a liter of cold boiled water and leave for 8 hours in a cool place. After that, the leaves, rinse and squeeze. Now you need to prepare the seasoning of these ingredients: one tablespoon of finely chopped garlic, ginger, green onions and salt, two teaspoons of finely chopped red pepper (dry) and sugar. Seasoning, place in a large bowl and pour half a liter of boiling water. Add cabbage, cover and leave in a cool place. After two days, drain the liquid, and may try. Delicious Chinese cabbage also in soups. For cooking make chicken broth. Dice the carrots and toss into the broth, then add potato, shredded cabbage and at the end of cooking, dill, green onions, spices.